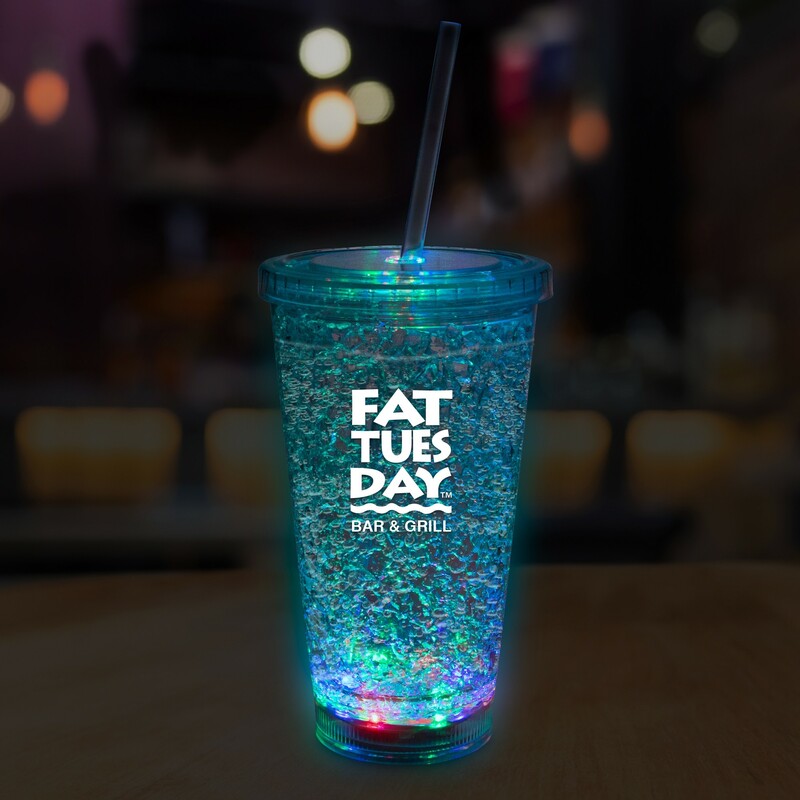 Our Multicolor LED 16oz Crystal Tumbler is the perfect choice to light your party drinks while making your brand pop. 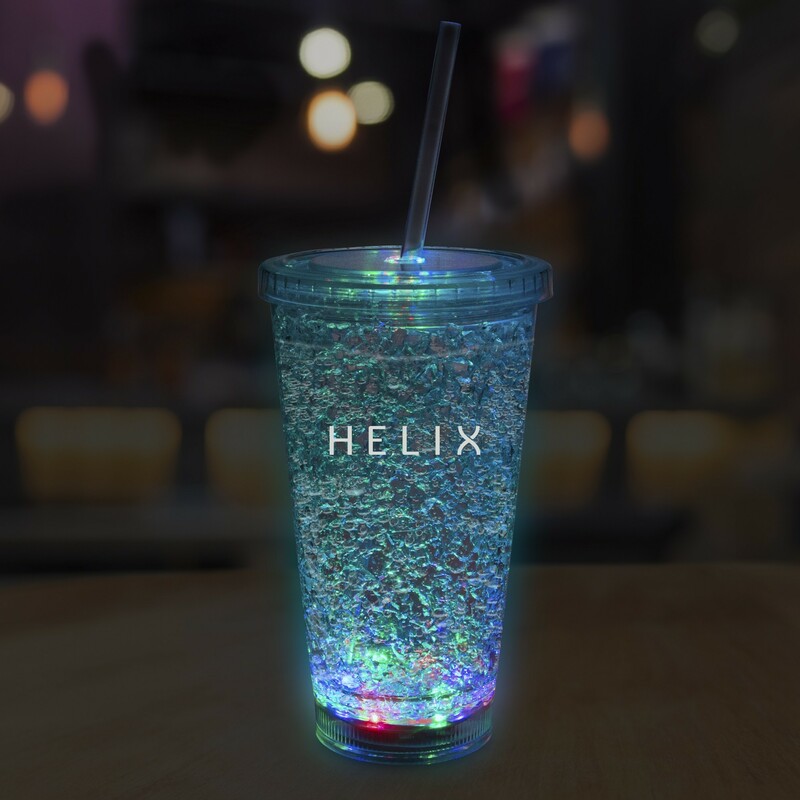 Each cup comes with 3 bright LEDs in 2 red, 2 blue, and 2 green with 3 function modes. 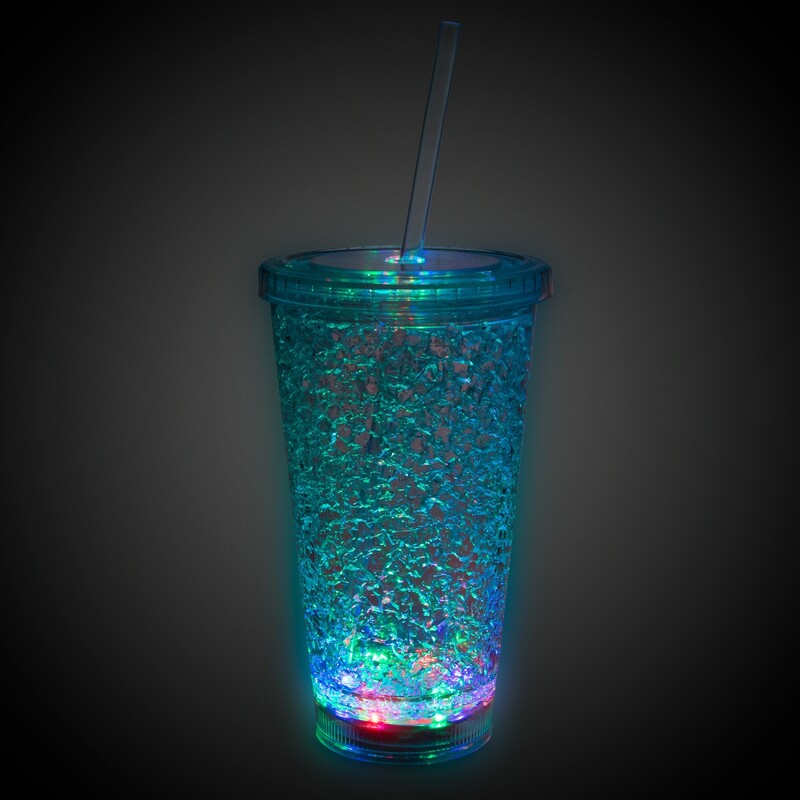 Simply push the soft silicon button on the bottom of the cup to change from fast flash, slow flash, and steady on. 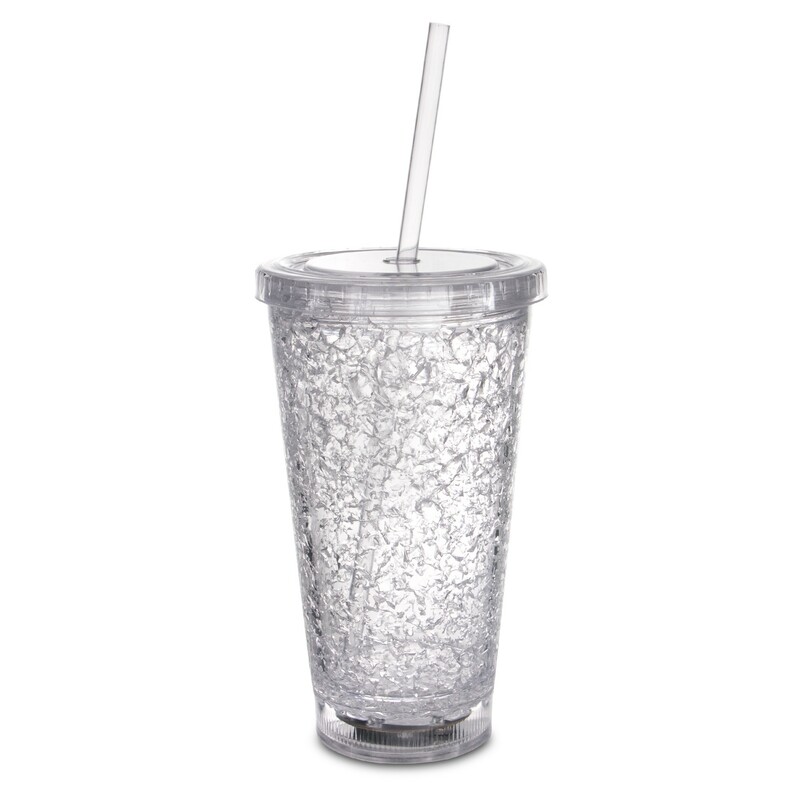 Each cup comes with a matching lid and straw and measures 2.5" across the bottom, 4" across the top, and 7" tall without the included 9" clear straw. The cracked ice look is great for promoting any hockey or figure skating event. 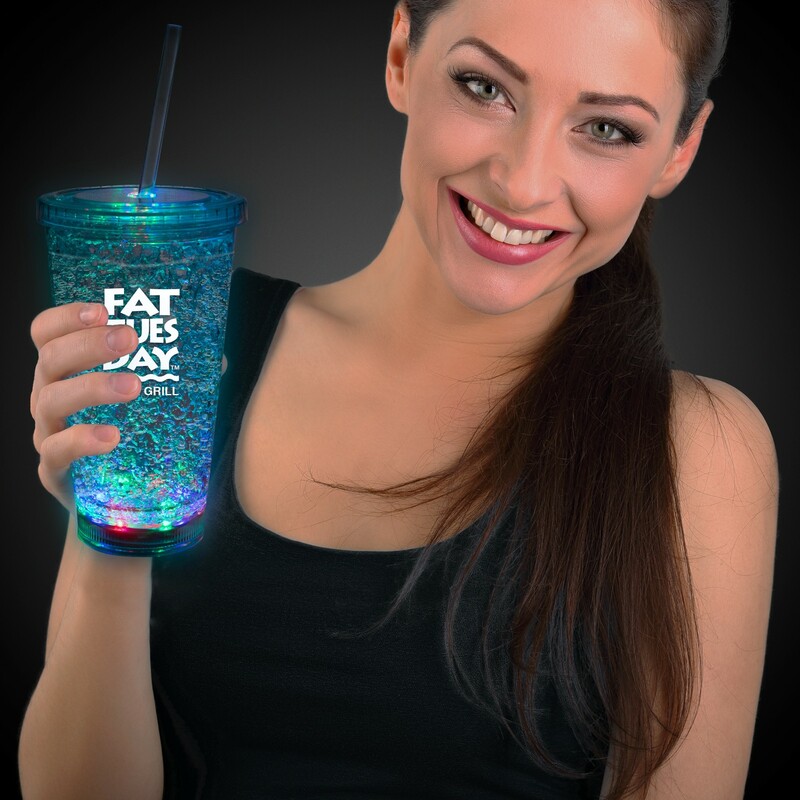 Perfect for Christmas and Holiday parties, St. Pat's, Oktoberfest, or the perfect party favor for sporting events, birthday parties, graduation parties, and all your special events. 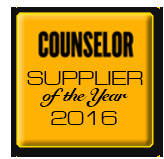 Batteries: 3 replaceable AG13 batteries are included and installed.